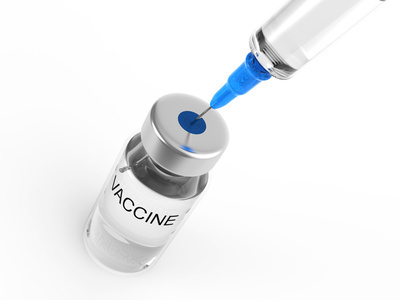 This article began as a simple one: to report a few studies I found which posit that allowing the measles to run its course, rather than vaccinating against it, has been found to prevent allergy development in later life . Please understand – I am not suggesting intentionally exposing children to the virus, nor skipping vaccination against it, in order to safeguard them against allergies. The measles are not to be trifled with. As I delved a little more deeply into the topic I realised I had to write something a little more substantial on it. The issue of vaccination is a thorny one; it’s my intention to approach it simply from the mast cell/histamine/allergy/inflammation angle, so that so that at least we’re going into this with eyes open and armed with some information to help us better understand what to watch out for post-vaccination. It’s not my intention to cast my vote in either direction, because thankfully, as of yet, I don’t have any kids to worry about. Please don’t ask me what I’m planning to do, because I still haven’t the foggiest. It’s going to be a toughie for sure, given the number of parents I correspond with who are convinced that vaccines contributed to, or caused, their child’s mast cell/histamine issues, or autism. Aluminium: specifically enhances inflammation and decreases mucosal healing of the stomach . Citric acid: inflammatory  potentially induces mast cell degranulation . Egg albumin: mast cell trigger, used to test anti-inflammatory drugs . Formaldehyde: mast cell trigger , carcinogenic, messes with our DNA . Mercury: used by researchers to induce inflammation with which to test their anti-inflammatory drugs . MSG: potential mast cell trigger . Soy: mast cell/histamine trigger . Yeast: mast cell/histamine trigger . Also: multiple dyes and preservatives known to cause mast cell degranulation and histamine release. Add these to the fact that vaccines in general cause inflammation – yes, oddly enough, injecting a virus into our body causes the immune system (mast cells, histamine, other inflammatory agents) to go completely berserk protecting us from it. No wonder some truly funky stuff happened just before I shipped out to Baghdad as a journalist. I had six vaccines in total, all at once. As I said before, it’s not my position to take a position on either side of the debate – but I was truly horrified by most of the other inactive ingredients and to find out how the viruses are incubated (monkey kidney, bovine marrow anyone?). I would have a hard time justifying allowing anyone to inject those into my body. I’m not suggesting that people should not vaccinate themselves or their children. I’m just saying it’s good to be aware of what’s going into our bodies and that we should be aware there’s a possible fallout for those of us with mast cell issues. I know many of my tribe medicate with antihistamines before and after, so it’s worth letting the vaccinator know that you may need special attention, or they may need to keep an eye on your child. I suggest googling Dr. Theoharides for his advice on spacing out vaccines for children with mast cell disorders. Confused by a negative histamine test result?